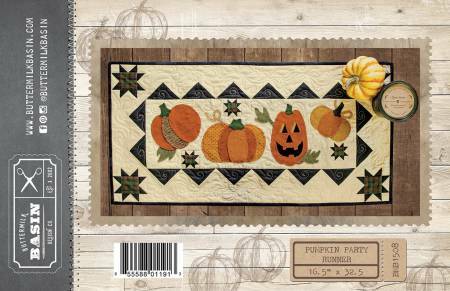 This fun runner features a jack o lantern in the pumpkin patch. The pumpkins are wool applique, on a cotton fabric pieced runner. It measures 16-1/2in x 32-1/2in.